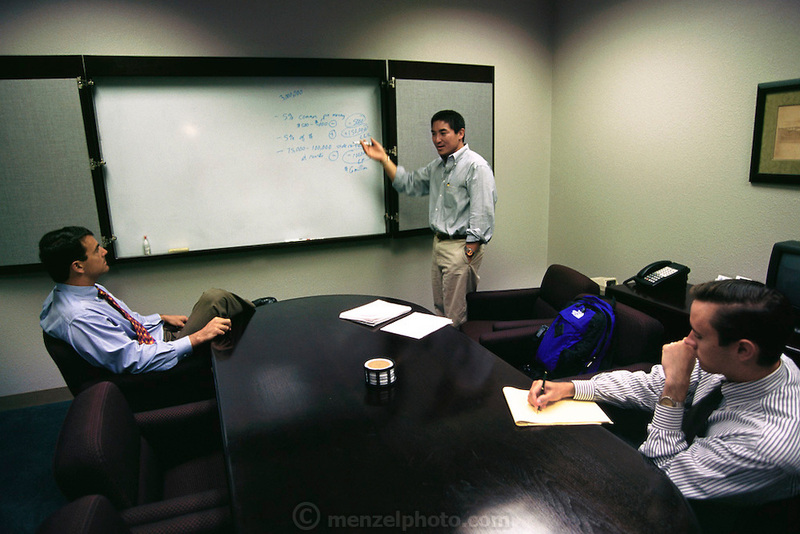 Silicon Valley, California; Guy Kawasaki pitches his ideas for garage.com to Tim Draper & Steve Jurvetson. Tim Draper and Steve Jurvetson are partners in Draper, Fisher, Jurvetson, one of the leading Silicon Valley venture capital firms. (1999).